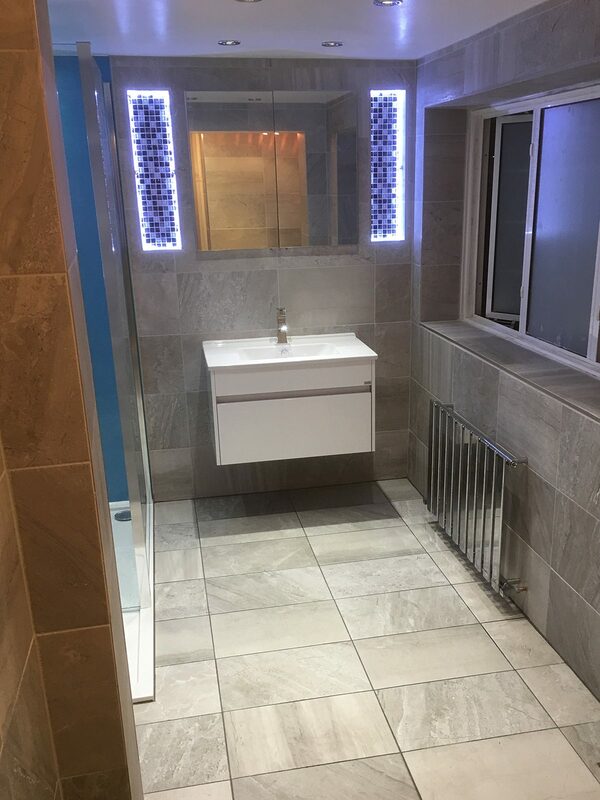 247 Plumbing Solutions were approached to convert a garage into a stylish bathroom space in Beckenham, South East London. 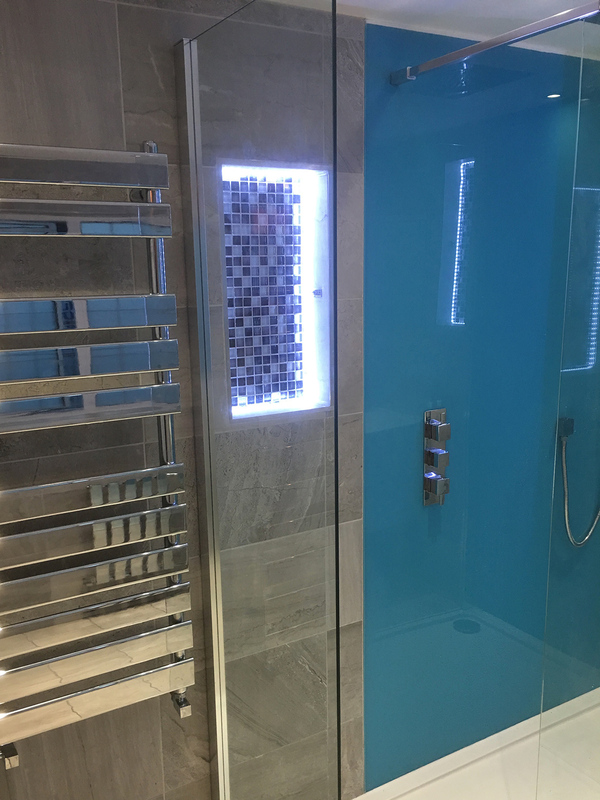 The project included initial design ideas and layout, building an all timber frame, boarding, plumbing, tiling, heating, electrics and lighting. 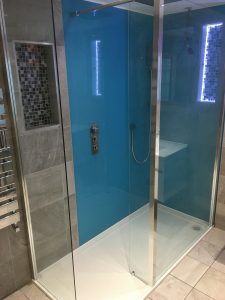 A beautiful 1700mm x 700mm stone resin shower tray with ceiling rain shower, full underfloor heating all finished in 600mm x 300mm porcelain tile transformed the space into a highly useable area of the home. 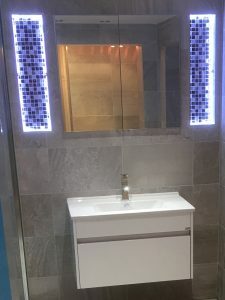 The integrated vanity unit was designed and built with to include an anti-mist mirror and features 3 shelves lit with waterproof LED strip lights. Two chromed radiators were also installed ensuring a suitable temperature can be maintained all year round. The garage also had a highly unusual circular portal window. 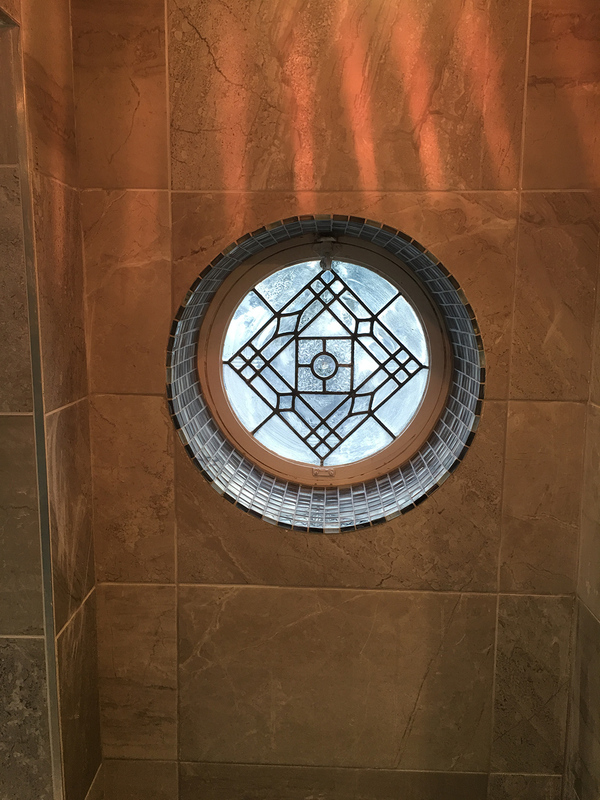 247 Plumbing Solutions designed, sourced and installed a leaded stained glass feature in keeping with the new bathroom design style intricately tiling the inner curve of the window with mosaics. Considering a new bathroom yourself? 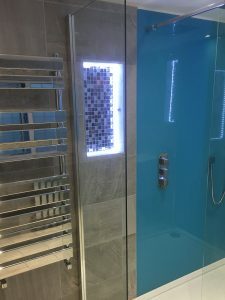 A new shower or shower enclosure? 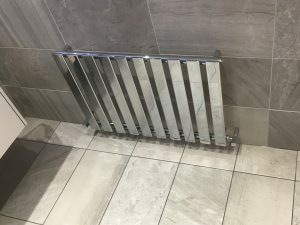 Or even underfloor heating?